We are hosting a talk from the renowned author Chris Holden who will be coming to ECSAC to deliver a talk on the famous Royal Charter. In late October 1859 Royal Charter was returning to Liverpool from Melbourne. Her complement of about 371 passengers (with a crew of about 112 and some other company employees), included many gold miners, some of who had struck it rich at the diggings in Australia and were carrying large sums of gold about their persons. A consignment of gold was also being carried as cargo. As she reached the north-western tip of Anglesey on 25 October the barometer was dropping and it was claimed later by some passengers, though not confirmed, that the master, Captain Thomas Taylor, was advised to put into Holyhead harbour for shelter. He decided to continue on to Liverpool however. Off Point Lynas the Royal Charter tried to pick up the Liverpool pilot, but the wind had now risen to Storm force 10 on the Beaufort scale and the rapidly rising sea made this impossible. During the night of 25/26 October the wind rose to Hurricane force 12 on the Beaufort Scale in what became known as the “Royal Charter gale”. As the wind rose its direction changed from E to NE and then NNE, driving the ship towards the north-east coast of Anglesey. At 11 pm she anchored, but at 1.30 am on the 26th the port anchor chain snapped, followed by the starboard chain an hour later. 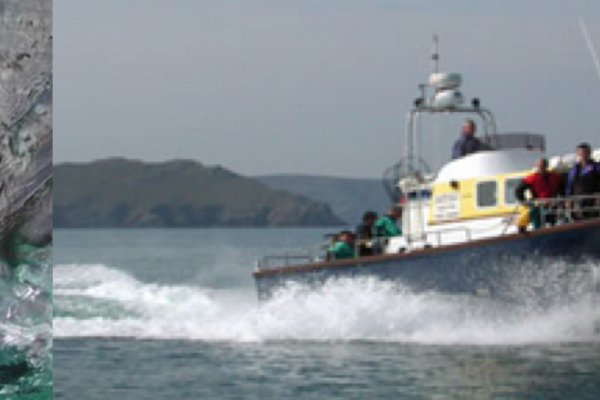 Despite cutting the masts to reduce the drag of the wind, Royal Charter was driven inshore, with the steam engines unable to make headway against the gale. The ship initially grounded on a sandbank, but in the early morning of the 26th the rising tide drove her on to the rocks at a point just north of Moelfre at Porth Alerth on the north coast of Anglesey. Battered against the rocks by huge waves whipped up by winds of over 100 mph, she quickly broke up. There are many stories of gold finds on this wreck right up to recent times. 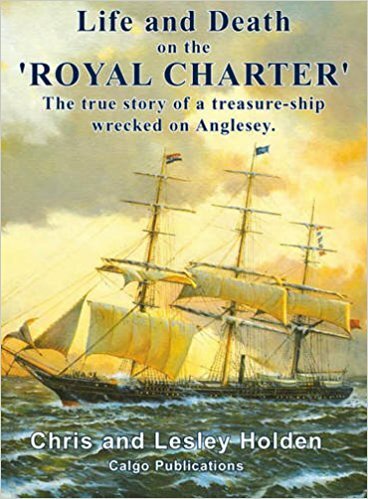 Chris Holden, famous for writing the definitive dive guides to the welsh coast has also written a book on the Royal Charter and will be sharing his knowledge with us. Come along for what will surely be an interesting evening of takes from the sea and the prospect of sunken gold.